The GMAT is crafty in the way it tests you on vocabulary. 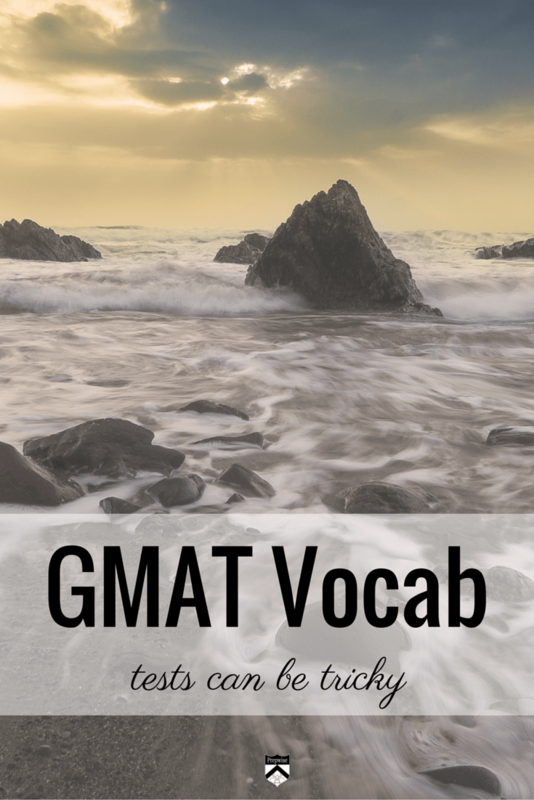 One of the benefits of the GMAT versus GRE is that the GMAT does not require you to memorize a list of 600 words. The GRE essentially does. But that doesn’t mean that the GMAT is not testing you on vocabulary . 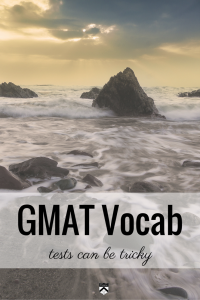 . . it simply means that the GMAT is crafty in the way it tests you on vocabulary. While on a straight road, car X and car Y are traveling at different constant rates. If car X is now 1 mile ahead of car Y, how many minutes from now will car X be 2 miles ahead of car Y? (1) Car X is traveling at 50 miles per hour and car Y is traveling at 40 miles per hour. (2) 3 minutes ago car X was 1/2 mile ahead of car Y. What looks like a rate problem is also a cleverly disguised vocabulary test. Most students get so bogged down with the rate problem aspect of this question that they miss the nuance. The key word is AHEAD. If the problem stated that X and Y are 1 mile apart, we would not reasonably know if they are moving in the same direction or if they are moving in opposite directions. In either case, statement 2 would be sufficient. AHEAD versus APART determines the sufficiency of statement 1. By choosing AHEAD, statement 1 is sufficient. If the GMAC had chosen apart, statement 1 would be insufficient. Ahead implies (does not guarantee, but reasonably implies) that car X and Y are heading the same direction. Apart would not be strong enough to indicate the direction of the cars. Data Sufficiency questions can be difficult to process quickly. It isn’t the math that will likely trip you up, but rather the verbiage. Hunt for those cue words!